Merry Christmas from our Pet Therapy Volunteers! Dixie, Buddy, and Sadie are pet therapy dogs in Sulphur Springs. Here they are dressed up to celebrate the Christmas season! 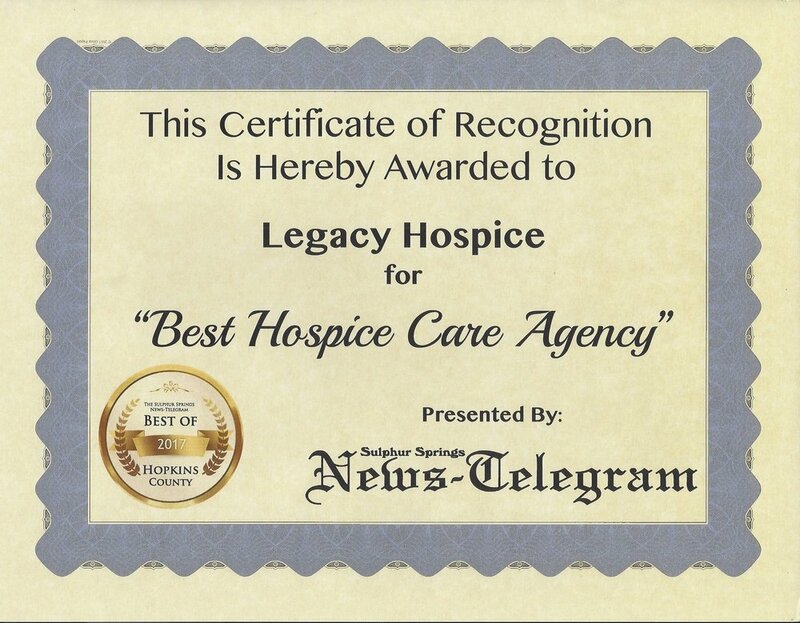 The Sulphur Springs office of Legacy Hospice was recently awarded the "Best Hospice Care Agency"! Congratulations on their hard work and dedication! Thanks to the Hope Foundation, one of our patients was able to visit New Orleans, LA with her son and daughter, pictured below. She had planned to go when her daughter turned 21, but she was diagnosed with cancer and became very ill. Thankfully, they were still able to make it and had a great time! Pam Black with "Dixie", Becky Peugh with "Sadie", and Jajan Davis with "Buddy"
Our tree at a Christmas Tree Decorating Contest at a local retirement home. Several speakers from our recent conference "Grief: Surviving the Holidays." Legacy's trunk at a Trunk or Treat event at a local nursing home. 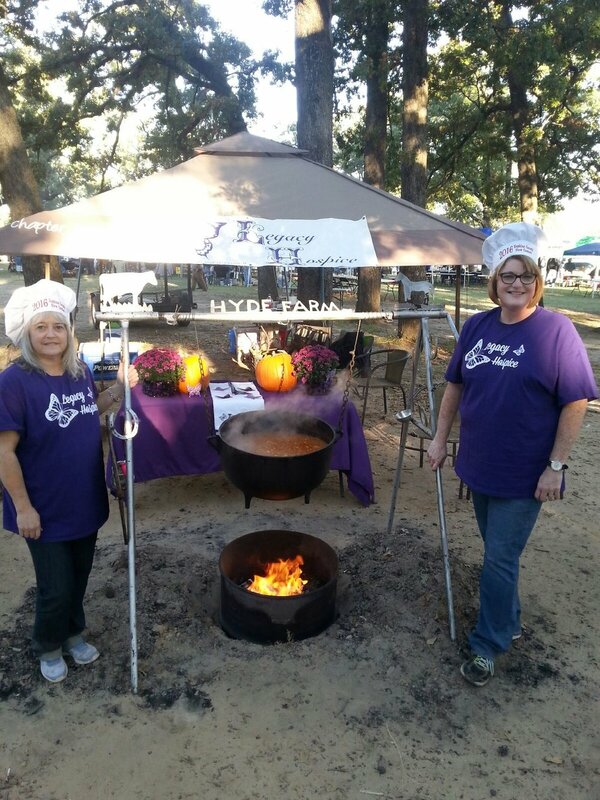 Legacy Hospice participated in a stew contest in Sulphur Springs in October.